Adventure Time: Finn & Jake Investigations – Mysterious Goings-On, Old School Style | "DESTROY ALL FANBOYS!" “What time is it?” Um, 6:48pm as I type these words!. Hmm, that joke fell flat didn’t it? Fortunately, Little Orbit’s latest, Adventure Time: Finn & Jake Investigations has far better writing than I can muster up and looks as it’ll be a total blast to play through. Available NOW on PlayStation 4, Xbox One, Nintendo Wii U, Xbox 360, PlayStation 3 and Nintendo 3DS, the game takes the popular show and characters into a less sprite-ly space (the game is made up of POLYGONS! *Gasp! *) and pace as it emulates some of the older-school adventure games us well-aged gamers grew up playing. Sleuth your way through five cases set in the Land of Ooo, each of which plays out a separate chapter (like your own personal episode of the show). See the Adventure Time characters and familiar locations for the first time in 3D. Tackle puzzles by creatively using inventory objects and Jake’s shape-shifting abilities. 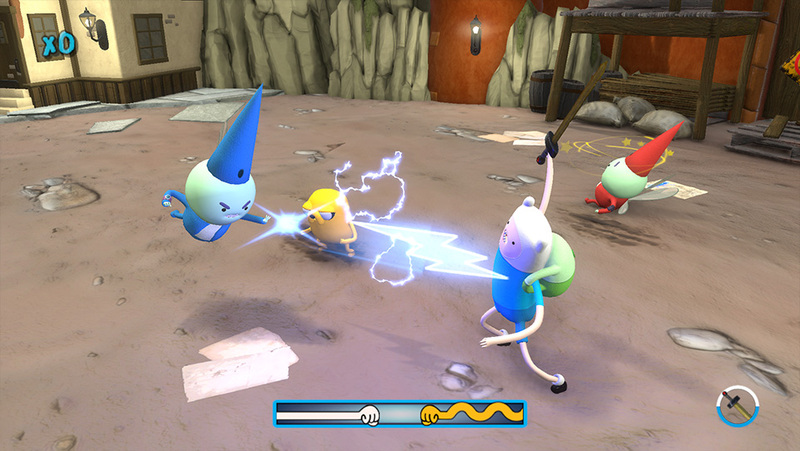 Combat evildoers as Finn using a variety of unique swords and Jake’s awesome attack forms. I stole that info above from the press release, so maybe that’s a SIXTH adventure that needs to be solved? Uh, wait. I just gave myself away as the culprit. Oops. Well, Jake and Finn don’t know and you won’t tell them at all, so I’ll be camped out in front of my TV waiting for them to slap the cuffs on. Or slap me around the room. I think I’m insured. I think. So, yeah – get this game. Well, you don’t HAVE to buy EVERY version in that photo above. But if enough of you did exactly that, I sure bet Little Orbit and developer Vicious Cycle would be very thankful indeed. Perhaps a bit baffled… but thankful nonetheless. 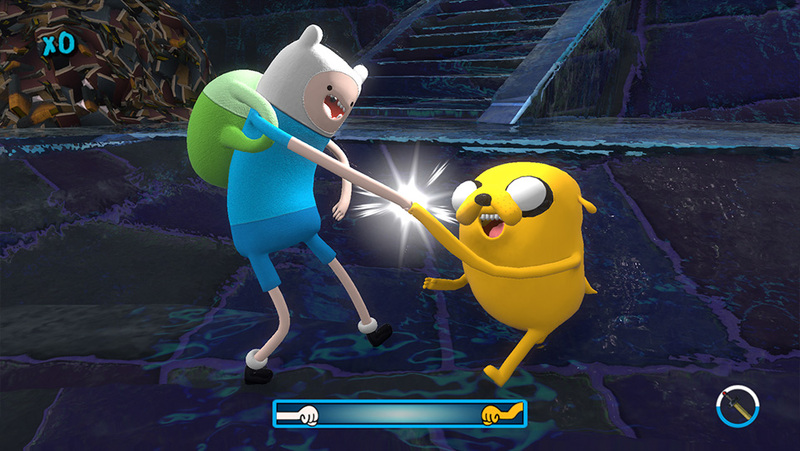 This entry was posted in Updates and tagged Adventure Time, Adventute Time: Finn and Jake Investigations, BUY This Game, Cartoon Network, Cover Art, Digital Games, Gallery, Licensed Games, Little Orbit, Microsoft, Nintendo, Nintendo 3DS, Nintendo eShop, Nintendo of America, Nintendo Wii U, PC, PC Games, PlayStation 3, PlayStation 4, Playstation Network, PS3, PS4, PSN, SCEA, Screenshots, SEN, Sony, STEAM, Valve, VGA 101, Videogame Appreciation 101, Videogame Trailers, Xbox 360, Xbox Live, Xbox One, YouTube by geelw. Bookmark the permalink. Hey there- you actually reminded me I need to redo my “About DAF” page so my email address is a bit more highlighted. Let me rummage through my schedule and see what’s what time-wise and get back to you. Hey. Absolutely no problem. Let me know.